It's time for lots of noisy fun! Flip flop, flip flap, clickety-clickety clackety clack! Slurp some spaghetti, crash and bang, hear the trees go ping and the mice go clang! 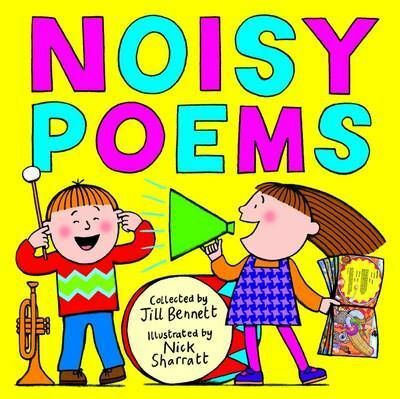 This is a perfect first collection of noisy poems for sharing aloud, delightfully illustrated by award-winning artist Nick Sharratt. Yickity yak, yickity yak, the yak has a scriffily, scraffily back! This charming collection is packed with noises and rhymes children will love to listen to and repeat. Illustrated in colour throughout by award-winning artist Nick Sharratt, this is a perfect first poetry book, including poems by Spike Milligan, Jack Prelutsky, Eve Merriam, and Eleanor Farjeon.